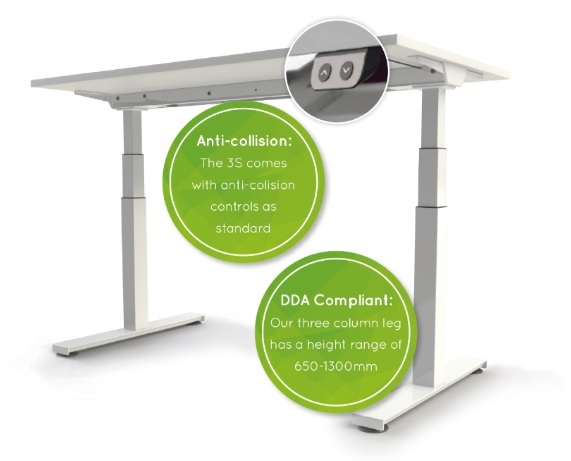 The plus points of Sit & Stand desk technology are pretty well established now. We know that sitting down for long periods of time could have implications for our health, and forward-thinking employers have been keenly paying attention to developments in the workplace which could encourage and assist staff in putting an end to the traditional eight-hour sitting adventure. 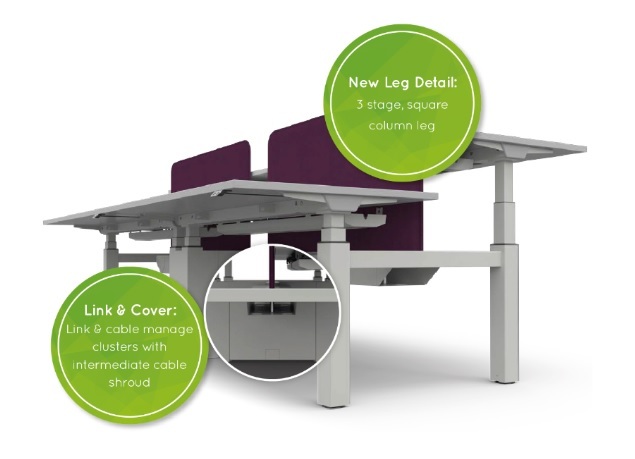 It’s no wonder the Sit & Stand concept has taken off across the world, and we were excited to launch our latest model, the Sit & Stand 3S, this week. Here we outline 10 ways the desk technology could improve your office environment. Keeping active is key when it comes to preventing everything from back and neck pain to osteoporosis. Activity helps us build strong muscles and bones, and a sedentary lifestyle puts us at risk of losing some of that goodness. Days spent at the office are an obvious obstacle when it comes to keeping fit – it’s common to spend hour after hour at a desk – but they needn’t be. Sit & Stand technology lets staff switch between standing and sitting to ensure they’re making use of those muscles, and a recent study found that participants using standing desks reported fewer musculoskeletal problems. A healthy level of activity can help reduce our aches and pains. Let’s face it, sitting in the same place all day is boring. We’ve all felt that creeping lethargy that washes over us as the day goes on, and by afternoon sometimes it’s a task just to stay awake. Switching from sitting to standing throughout the day may seem like a small change, but it can help encourage a change of mindset and a more energetic approach to things. Put simply, standing up burns more calories than sitting down. We’re not suggesting that Sit & Stand technology is a miracle diet replacement, but we do know that all the best science says that the most effective way to both lose weight and prevent weight gain over the years is to eat well and keep active. Given that offices have, for a long time, been a sedentary environment, introducing Sit & Stand helps encourage a workplace to make the time and space for activity. It can be more than a little irritating when, sitting at work, you feel the inevitable buzz of your fitness tracker letting you know it’s time to get up and move around. As much as you want to hit those fitness targets, it may feel a bit odd to keep leaping up from your desk. A Sit & Stand environment, however, encourages the kinds of small but regular bursts of movement that your fitness tracker would approve of. Technology has changed our workplaces and our personal lives, there’s no reason we can’t sync them up! Think about it: you’ve become more active at work thanks to your Sit & Stand desk and you’re feeling a bit brighter and fitter thanks to all the plaudits you’re getting from that fitness tracker – it’s not a leap to think that a more pleasant working environment could improve how you feel when you’re at work. A study last year observing people using standing desks found an improvement in quality of life. Lots of things around us contribute to our moods and emotions and when our desks are such a dominating part of our days at work, having one with more flexible options could make a difference. If you work in an office that offers more flexible options when it comes to your workspace, you may well find yourself interacting more with colleagues. If activity is encouraged, you may find yourself more likely to go and speak to colleagues about queries rather than getting bogged down with emails. It’s up to employers to provide the nuts and bolts of the working environment, and being thoughtful about their surroundings is noticed by staff. Investing in products like Sit & Stand alongside other desking, seating and practical features, can help show staff that their employers care about their personal wellbeing as well as the success of the organisation. A recent study observing employees working at standing desks for two hours showed an improvement in creative decision making. Given that a mixture of sitting and standing at work helps increase daily activity, perhaps it’s enough to get those creative juices flowing, too. Happy staff are likely to be much more productive. A 2015 study from the Social Market Foundation (SMF) and Warwick’s Centre on Competitive Advantage in the Global Economy (CAGE) found that happy employees are up to 20% more productive than unhappy employees, and a study published in the British Medical Journal (BMJ) last year found that standing desks helped reduce tiredness among workers and boost productivity. There are lots of things employers can do to create a happy workforce, and creating the best working environment for them is one of them. Sit & Stand technology signals a modern, dynamic, forward-thinking approach, and sends a strong signal to both employees and customers alike. Desking is such a staple part of any workplace that it’s often taken for granted when, in fact, creativity when it comes to such a core part of an environment speaks volumes. 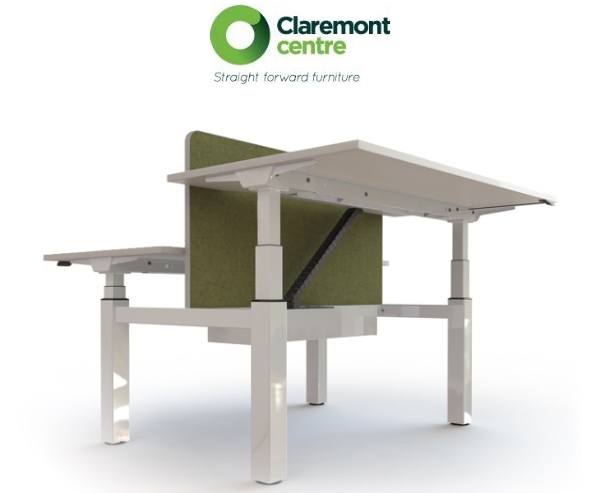 At Claremont Centre, we’ve just launched our latest Sit & Stand product, the Sit & Stand 3S. 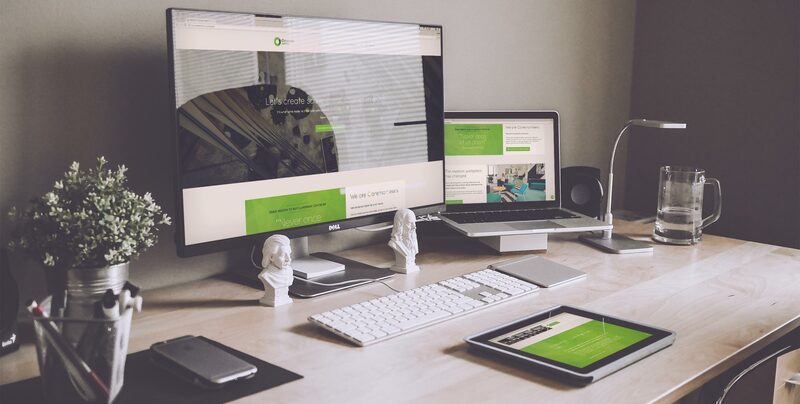 Find out more about the new features here, and if you’d like to speak to us about placing an order don’t hesitate to get in touch with the team.